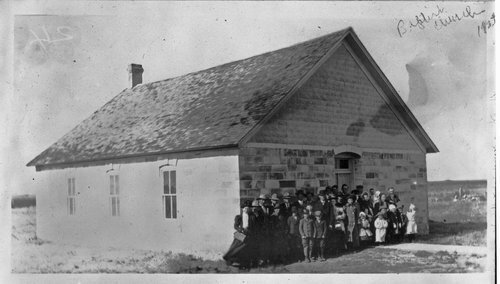 This photograph shows a large group of people standing outside the stone Mount Pleasant Church. It was built and dedicated in 1905. The church has arched stones above the doorway and windows and a hinged window above the door.